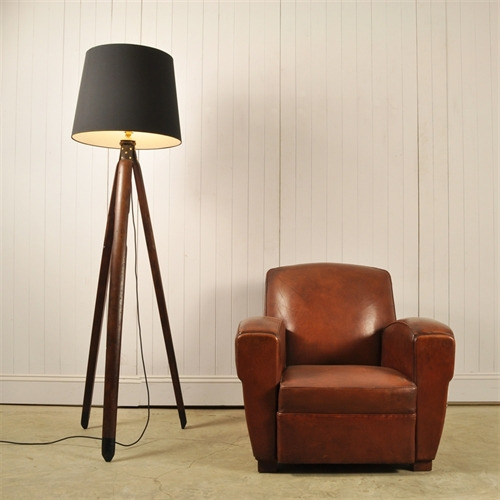 Military Tripod Lamp - Original House – Decorative Antiques, Vintage Industrial Furniture and Lighting, Cotswolds. 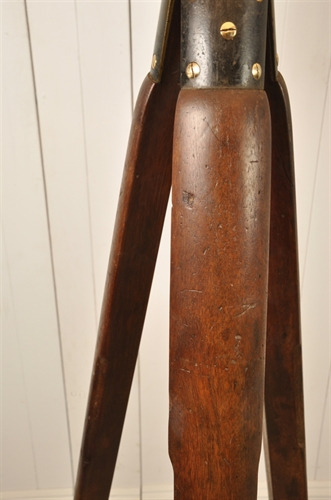 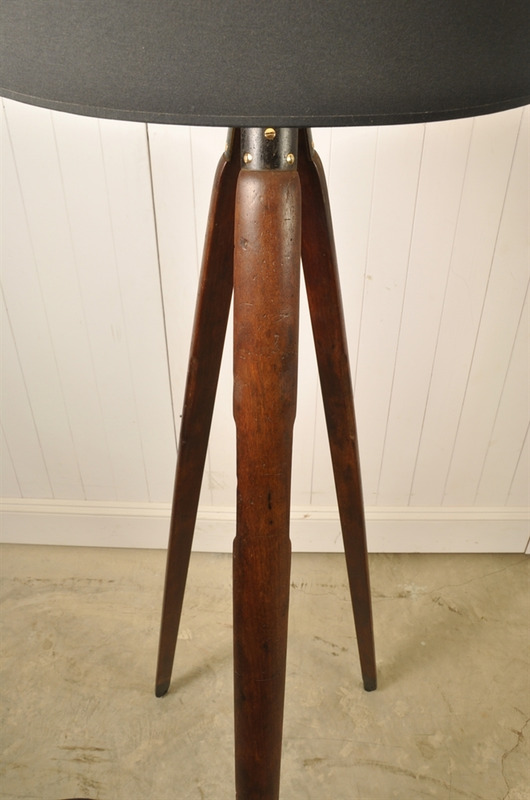 These antique hardwood tripods were used in the British military circa 1930's. They were used to hold radio masts and binoculars. 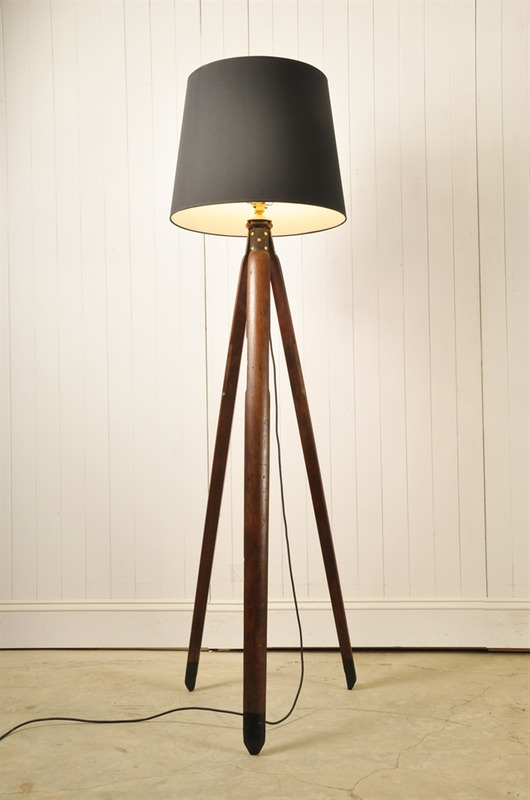 We have converted this tripod into this interesting standard lamp by polishing some of the brass screw heads for a little detail and using brass fittings and black braided flex. 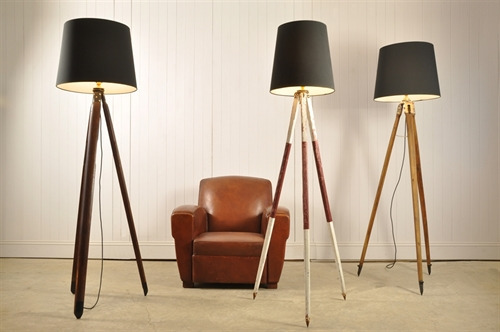 147 cm h x 54 x 54 ( Shade 41 h x 51 x 41 - not included ).